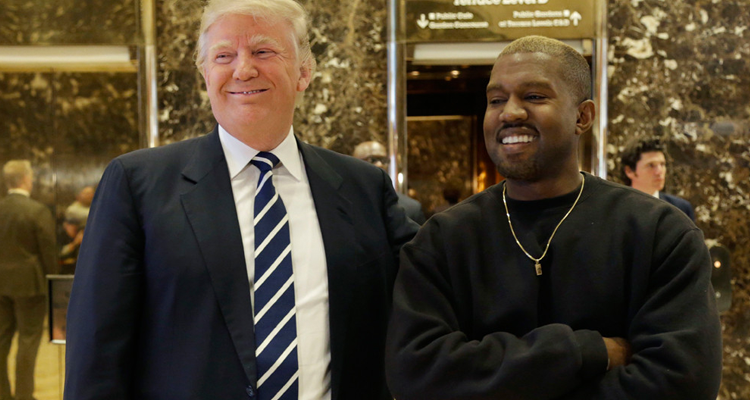 As President Donald Trump and Kanye West have become mutual supporters of each another, West joined Trump at the White House today for the signing of the Music Modernization Act (MMA) into law. Recording Academy President and CEO Neil Portnow and Recording Industry Association of America President Mitch Glazier also attended the event, among others. This news comes amidst the backlash of Kanye’s impromptu rant on Saturday Night Live, at which time he claimed the cast members had bullied him about wearing his MAGA hat and his stance on how black Americans are told to vote for one party. Embed from Getty ImagesThe MMA is a multifaceted bill forged by compromises throughout the music industry that creates a blanket mechanical license and a centralized system to administer it, while changing some considerations used in setting music publishing rates. It also compels digital and satellite radio to pay royalties on pre-1972 master recordings to labels and artists and codifies the procedure by which SoundExchange can pay producers and engineers royalties for the records it works on.